A vignette from our beloved Black Gum Hill, something I tended to overlook until I saw the photos a friend of mine nabbed of this little detail. great shot once again.... 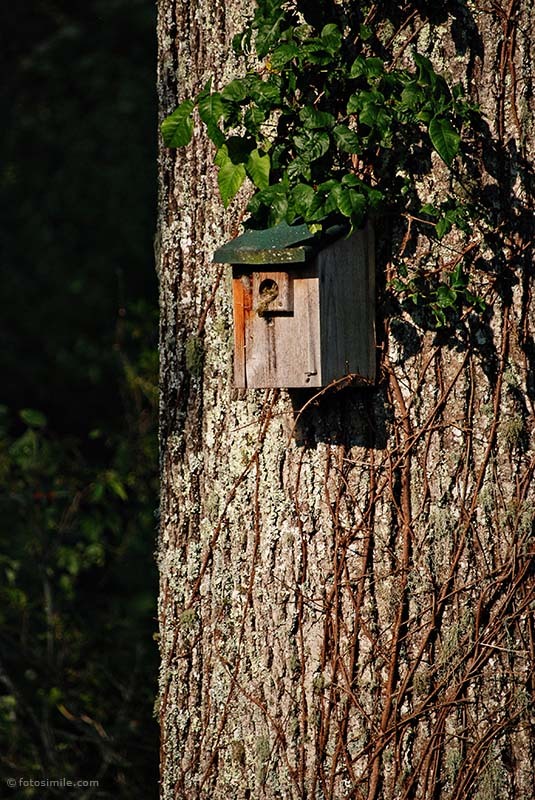 I love the contrast of the straight, clean lines of the tree and birdhouse, which are softened by the leaf/vine design.